Be forewarned–if you don’t want to hear about bodily functions, skip this post. I wanted to take a brief moment to talk about some of the side effects I am experiencing as my body continues to recover from both my surgery and my treatments. This is particularly relevant right now as I am starting to experience some of these side effects that are actually a part of my recovery–meaning they are good signs, but still difficult to endure. Monday night after my lesson and practice I was doing some compression therapy on my knee and leaning forward compressing my belly when all of a sudden I experienced a sharp pain jolt through my abdomen. It was so sudden and painful I actually cried out and as I began to sit up and flatten out my body I could feel almost a rolling sensation through my belly. The pain came and went for about 20 minutes before it calmed down and I felt a bit normal, but it still remained almost in the background until I went to bed. I have had a pain like this before, although not as sharp or long lasting and I was told by the doctor it was likely ‘nerve regeneration’, meaning that the nerves in my belly that were severed during my surgery are finally starting to regrow and reconnect. Unfortunately, as they start to reconnect they send pain signals and burning. The good news is that it is a sign I might recover some sensation in my belly. Expecting the pain I experienced Monday night to be similar (it happens every few weeks), I didn’t think much of it, until when I was doing core strength training on Tuesday the pain unexpectedly came back as my abdomen was compressed again. The pain again remained in the background for the rest of the day. I was beginning to get a little concerned, as I could feel my belly starting to swell some throughout the day, and I decided it would be prudent to go see my doctor and make sure the pain wasn’t a different complication. I am happy to report that the doctor wasn’t able to find anything for cause to worry, and it turns out this pain appears to be a combination of different factors. One of the things I realized Tuesday night was that I hadn’t had a bowel movement in about 3 days. This, unfortunately is one of the side effects of the hormone therapy, as well as the medication I take to control the side effects of the hormone therapy. It’s doesn’t happen often, but it does require me to take a laxative for a couple days about once every 3 weeks. When the doctor examined me, he was able to hear a lot of gas sounds in my belly, another side effect of the treatments, and it seemed it was trapped in my intestines. The combination of the two, plus the nerve regeneration seems to be the source of the pain. I had already taken a laxative, but was waiting for it to work. Almost all of today my belly was quite sore, upset and out of sorts. Things started moving this evening, but the gas pain and bloating was persisting and I was feeling dizzy off and on as it moved through my belly. One of the best things I have found to help this is to get my body moving itself, so I went to practice, which did help provide some relief, but unfortunately I had a fall when moving backwards in foxtrot I got dizzy and tripped over my own feet. I landed hard on my rump and banged my elbow, but it seems nothing has been sprained this time. I stopped practice shortly after that as the dizziness got a little worse, and my belly began to get really uncomfortable. One of the other things I discussed with my doctor was that I seem to be getting these pains and sensations whenever I drop a size in my belly. He explained to me that it is very likely I am losing subcutaneous fat (which is more internal and around the internal organs), and that could be causing the feeling of compression and rolling–my intestines losing some of the ‘cushioning’ and having some extra space to move around while the rest of my body catches up. It’s actually a good thing as losing subcutaneous fat increases the health of the organs and body overall, but with the surgical changes of my body, it’s a little confused. It thinks it is losing belly fat, when actually it’s my chest that’s getting smaller (my belly fat now being on my chest). My body should adjust to all of these changes, but the digestion issues are something I will have to keep an eye on to avoid having a “back-log” exasperating the pain of nerve regeneration and my body trying to figure out where to put my organs. If those issues keep up and I continue to experience less side effects from the hormone therapy, I will ask my oncologist when I see him in January about the possibility of cutting down on the medication to control the HT side effects, to try and reduce the side effects of that medication. Until then, I will keep an eye on things and remember that even though these side effects are inconvenient, and sometimes quite painful, they are signs that my recovery is on track. 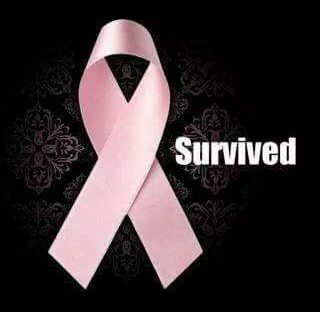 It was one of the most difficult weeks since I was diagnosed, but I made it through. This week was non-stop for me. But I knew going into it that it would be hard and that if I could get through it, then I am truly on the road to recovery. Work was crazy busy and intense. I ended up working late three nights this week, and the days were a lot of moving around, standing, advising and communicating, most of which was outside in the heat. It was tiring, but also very rewarding. On top of knowing it would be an intense week for work, I set a goal for myself to try to also get in as much dance and strength training as I could with my regular schedule. I only missed one practice and one group class in the end, and that was entirely due to the late hour I was working. Among other things, it was completely satisfying to keep up a non-stop pace all week and know that I could do it. Even a month ago, I wouldn’t have been able to. That is not to say that I am not tired, but for the first time, I found myself not anymore tired than I would have been doing the same thing before I got sick. That in itself helped to reinforce the sense of normalcy I am slowly gaining in my life. Dance tonight was really good. We were working through some of my routines and adding the proper swing and sway to the standard dances. One thing that was unexpected is that Boss decided to progress my Waltz ‘mini-sequence’ to start me working on a new line, which I didn’t expect. To be honest, I thought of all my sequences waltz was one of the weakest, but Boss is the Boss, so I am moving on. I am actually finding myself really enjoying standard again. I can feel and see the progress I am making and after such a long time of not making any progress, it’s a huge difference and so positive. I finally feel like I am dancing in the standard dances and not just moving through the steps like I did previously. We are working a lot on the shaping and Boss is really encouraging me to work within the couple instead of trying to do things on my own. It’s actually a huge adjustment for me. Before, I was very focused on trying to control all of my movements and to be careful not to overdo things and influence Boss, especially in standard. Now, I am encouraged to move as much as possible (which usually takes some reminding) and to use Boss when we are in hold to make my own movements and shapes bigger. I am still a little shy about it, but I am getting there. Mostly, I can see the difference in how I feel when dancing. I am enjoying it again and it is energizing me. I am starting to feel powerful and strong again in my dancing and even just in general through my strength training. I am regaining my confidence and drive. I am moving through everything instead of just doing it to get it done. I am looking forward to my next competition and want to put in some extra work to get my routines down. While the momentum has been carried positively through this week, it really started last week. Almost overnight, I went from feeling exhausted to feeling like myself with energy. I think that I am finally adjusting to the hormone therapy and the fatigue side effects from that have dissipated. I feel rejuvenated. 7 weeks until my first competition back, and compared to this time last year it is like night and day. I am getting stronger every day. My weight is finally starting to go down (instead of just my size). My goals seem achievable. This week was a huge victory, and a stepping stone in my overall cancer journey. Yes, I finally got that news today. I had a medical appointment to review my medical category and in the end it was decided to recommend I be returned to full duties, pending review by the HQ. It’s a decision I expected, but never really thought I would hear. It seems I have been waiting forever to get to this point. The review by the HQ will take 6-8 months, and there is a small chance they won’t agree with my doctor’s assessment, but it is small. In the meantime I am able to return back to work just as I was before I got sick. Today truly is a turning point for me. It’s another piece of my life returning to full normalcy. This week at work is certainly a crazy one, but although I am tired it feels good to be back fully into the ‘swing of things’. I am able to be out of the office almost all week supporting a video film crew as they capture aspects of the organization I work for. It’s great to help shape the messages and communications that is presented to both internal and external audiences. One of the videos they filmed to today is actually going to be based on my story. It was an honour to be chosen as the subject for a video and I can’t wait to see the final product. We did an interview with me, followed by filming at the studio with Boss, and another interview with me and a short one with Boss. Once this week is over, I am able to really start focusing on preparing for the competition in October. It took a lot of thought, but I decided to do the smaller local competition, which was also the same competition I did last year after radiation before my surgery. There is something cyclical about doing that competition and I have lots to show. Yesterday, we worked on solidifying the Paso routine, and adding the sway to the movements. I will admit I wasn’t fully working on all cylinders yesterday as my lesson was at the end of the day after practicing and strength training. I was having some trouble keeping my focus and as was not as able to process things as quickly as I usually do. But, days like that happen and I worked my way through it. By the end of the lesson we were able to go through all my latin routines and the paso routine seemed to be in good shape. One thing that seems to be a theme is that I need to get used to pushing my boundaries and keep working to my limits. Boss seems to constantly be reminding me to ‘do more’, which is actually a good thing. I need to get used to moving again and using my full power. I also need to remember that I am stronger now than I have been previously. All in all, it was a great day and should be an amazing week. Yesterday was a bit of an interesting lesson. We were working on standard, and the main theme seemed to be for me to do more. Boss told me that I should keeping working to do as much as I can until he tells me I have done too much. It’s weird how difficult that seems. I am not sure if it is difficult because I fear doing too much and failing, or if it is merely that I am completely unaware of what is possible for me to do. It could be a combination of both even. Often, I think that I am doing as much as possible, but then after I realize I was still working to keep everything calm and controlled. It’s a hard balance to find. I need to try to find the outer limits within my control–meaning the point at which I can do the big movements, and can stretch and use my head as much as possible, but still maintain balance in the couple. It’s a bit of trial and error, but it is the error part that holds me back a bit. I completely lack confidence in my abilities and my dancing. It also came up as we were running through the full routines at the end of the lesson. I really don’t know the sequence of steps in my new routines and some of them are very similar to the old routines with small changes of additional steps here and there. Basically, after the first few steps, I change from confident to unsure following mode where I am relying completely on Boss to lead me. The message to me is that I need to get the sequence of steps solid in my head so that I can open up and go through the movements as best I can and add the head styling and sway. One of the things that is actually impressing myself a little is how much I am able to maintain my frame and stay stretched out. There are moments I have to watch that I don’t turn out my left side, but everything is so much more stable now than when I was sick and it is finally dawning on me how unstable everything was before. We also started working a bit on sharpness in tango for the changes from closed to promenade and back to closed. My endurance in general seems to still be a bit of a problem, especially in my legs, of all things. There was a moment running through waltz where my legs turned to jelly on me and I had to stop a moment to recollect them. I am hoping with more run-throughs and my new strength training program (that has added some new leg exercises), my leg endurance will start to gradually increase with everything else. Boss did tell me that it looks like we may be returning to having run-through practices on Sundays in September. He just needs a couple more couples to commit to cover his costs for renting the hall for the practice, and he seems pretty sure he can get them. I am excited at the prospect of re-starting those as I have missed them a lot, but also a little anxious about what my endurance will be like. Practice today, trying not to melt in the heat. It’s rare the temp goes about 25 degrees here, and we have been close to or above 30 most of the week. Yesterday during my lesson Boss and I were trying out the American Foxtrot routine that was choreographed for us by the coach in the US. It’s a really interesting routine, but more complicated than the waltz routine. There is a lot more time in tandem and side-by-side work, but there are some really cool lines and some really fun parts. I am really looking forward to trying the tango and Viennese Waltz routines over the next couple weeks. One of the things I am really liking about taking some time to delve into smooth is that it is something really fresh and new to work on. It is almost like a combination of latin and standard, and there are certainly things that are taking me out of my comfort zone. There aren’t really any parts that I feel are beyond my abilities in general, but there is a unique challenge to the routines that I don’t get from the other stuff I am working on. The biggest part may be that these routines have no pressure with them at all because in the end I am doing them for pure fun. It’s almost like putting together four of the most versatile showcase routines possible. Each routine can be done to any music for that style but they are certainly more ‘showy’ than my usual competition routines. One of the most interesting things about working on this routine is I can tell where the work I have been doing on my international foxtrot is transferring and really paying off. As we were working through some steps, it occurred to me quite a few of them just wouldn’t make any sense to me this time last year. It’s a small way to see progress, but still feels good to see it. I am definitely finding myself gaining confidence in my standard as I move forward, especially in foxtrot which previously seemed to just ‘a bridge too far’. Whatever the reason, suddenly I am finding myself having a better understanding of what I need to do, and, even better, my body is actually responding to do it. In other things, Boss and I have finally nailed down our plan moving ahead and we have consensus on it. I also decided on a competition for the fall. I decided to do local competitions for my next two and use them to focus on preparing for a much bigger competition in the spring, possibly in the US. I was talking with one of Boss’s other students who is just returning to dance after time off, and she and I are exactly on the same page for that, which is a good sign and means we can split costs. I am really excited to have her return to dance because she and I used to compete together a lot, share goals, and have always supported each other. Having her away was like a piece of my dance family was missing. Boss and I also decided on what to do for a showcase/solo this fall, and we are going to be ‘reviving’ a Viennese Waltz solo from my early years working with him. I have a little bit of work to do to figure out a little bit what I want to do with it, but it should be fun. It’s been more than 2 years since I have done a standard/smooth solo. My next lesson is on Thursday in Standard, and I am interested to see how that goes. It’s been a while since I have done one of these. I don’t think I have done Paso yet. Yesterday’s lesson was mainly about reorganizing my closed silver paso routine a little, so I guess that got me thinking about about my ‘key word’ posts. The keywords for Paso are strength, aggression, and power. There is no doing Paso halfway. Every move has to be done with intent and strength with both partners moving strongly across the floor. There is nothing tentative about Paso. All the lines in paso need to exude strength from both partners. You need to feel the power moving from one hand to the other through the body, from the floor to the head and back again. Every step needs to be done with precision, grace and confidence. The aggression in the dance is not combative between the partners, but more an attack on the steps to give the strength and power needed for the character of the dance. It is truly unique in the latin dances and one of my favourites. Finally, I think we have a solid plan in place. Yesterday at my lesson, we clarified the final details and from there began working. The lesson was focused on Latin lead/follow. This is an interesting topic to work on as on the one hand, it requires a lot of focus, on the other it’s better if I don’t focus. Ah, the lovely contradictions of dance. To be really effective in lead/follow, I have to be willing to rely solely on the information I am receiving through mainly my hand, but in the absence of a hand wherever there is contact. I also have to transmit information back through my hand from my body about where my body is in space, for example how my hips are moving and transitioning through a step. It also means having to ignore my natural instinct to focus on the music and time my steps perfectly with it–I have to rely more on the lead from Boss–in his words, ‘he is the music’. This is certainly a challenge for a musician, who is also a perfectionist. I have spent a lot of time working on being in time, so to abandon that even a little takes some conscious effort for me. Despite that, things seem to be going well, although right now my responses are quite strong while I work to make sure they can be felt. In my next lessons, I will have to work on ‘lightening’ them up a little and finding the balance between being too strong and not strong enough. The other nice thing about my lesson yesterday was that we ran through my competition routines in all 5 dances to review them and see how the lead/follow is translating to them. It’s been a really long time since I have run them, so I was glad that I haven’t completely forgotten them. Some of the lead/follow is translating and I can certainly tell where that is making a difference. I got clearance from physio to go back to wearing my heels again, so last night during my practice I gave them a try. It went quite well, but I had really forgotten how much of a difference 2.5″ makes from 1.5″. The only small issue last night was I seem to have re-injured my wrist. It had been still bugging me, but not too bad and yesterday it was x-rayed again to see if there was any evidence of a fracture showing up. The x-rays were still clear, but there is definitely still some tenderness around the wrist. In particular, any pushing motion with the hand flat (which is how the injury happened) can be quite painful, so I been avoiding that motion. However, last night during my lesson I was doing Cuban breaks in my cha cha routine and without thinking I used a hand to hand hold to push myself back into the turn. Big mistake. The pressure and position cause pain to go shooting through my wrist and it hasn’t stopped hurting since. I am back to wearing my splint, icing, and ibuprofen. I was referred yesterday to a physio clinic that specializes in hand injuries, so I am hoping I will be able to get an appointment soon and get some idea on how to mend it up and strengthen it. On a small note, in talking with my trainer yesterday about all my activities and schedule, we decided it might be better to move from doing 1 program 3 times a week to doing 2 programs twice/week. This would keep me active 5 days/week, and it would allow me to do a better variety of exercises to support all my training and my recovery. I am looking forward to seeing the new program. I am in day 2 of returning to full-time work. So far, so good. One of my cats is making a protest about dinner coming an hour later, but she will get over it. I am trying to take it slow and easy, getting to bed early and giving myself a break when I need it. My wrist is still bothering me quite a bit and it is starting to worry me a little. I was told that wrists take longer to heal than other joints because there is not a lot of blood-flow to the area, but it is close to 2 weeks now. It hurts to touch my wrist. Thankfully, I have a physio appointment tomorrow and I can ask her to have a look at it. On top of adjusting my work hours, I also have had to adjust the time when I take my hormone therapy and that has an effect as well. Even the change by an hour over the last couple days seems to be leaving me with headaches and some body aches. The one small adjustment I am liking is the change to my practice schedule. Yesterday was a day of running ‘mini-sequences’ and as I worked through the patterns, some of them are really coming together. Others aren’t quite there yet, but I am no longer at the phase where I am standing wondering what I should do to make it work. It’s actually surprised me a little how some of them are coming–I feel more confident in the footwork than I expected and I am able to start working on other details like sway, technique, etc. My Monday lesson this week got moved to today due to scheduling issues and I am looking forward to seeing what we work on. Today is supposed to be a latin day, but really I no idea what we will work on until I get there. We have been doing a lot of standard lately, so latin would be a good change up. I am hoping when I get to physio tomorrow I will get clearance to go back to working in higher heels again, now that my Achilles is doing better. I am still having pretty bad issues with my right knee, but I don’t expect that to clear up anytime soon. Mostly I just need to keep strengthening and stretching and hoping that eventually the issues will work out. I expect to continue with a lot of adjustments over the next few weeks–both in dance and other areas of my life. I mentioned in my last post that Boss and I had sat down a couple weeks ago and put together a pretty amazing plan that I was really psyched about. Earlier this week though, I asked Boss to clarify a couple of details and it seems already things in the plan are changing–without explanation. One of them was one of the main things I wanted included, which Boss had been telling me would come back for more than 3 months now. It suddenly changed from ‘yes we will do something like this’, to ‘no, there is no plan for that’. Then when I asked I got 3 different reasons, all of which were different from the previous reasons. I didn’t take that change well. There are very few things in dance that I insist upon, but when I do, then I do expect them to be included. I was asking for something we used to do previously to be returned after more than a year without. It is something I missed terribly from dance, that really helped to put everything I was working on into context and perspective. Boss however, disagreed about the necessity of this one aspect of dance and told me they wouldn’t improve my dancing, and told me that I am too focused on improving as fast as possible. I can’t remember the last time I felt so misunderstood. At the end of a very tiring and stressful week, the last thing I needed to hear was that Boss had no idea what really motivated me in dance. It was incredibly disappointing. On top of that, he told me that I was over-reacting because I was so stressed and tired and having a difficult time, which felt incredibly dismissive. I think we got things sorted out in the end, in that the thing I asked for will be added to my lessons until they can be done outside of them, but I am still concerned about Boss’s perception of my approach to dance. If Boss can’t accept and understand what is important to me in dance and what isn’t, how can he teach me? For now I have my fingers crossed that the information I sent him will make sense and he can understand that what is important to me is not improving or progress, but the journey of dance. Just because I work hard doesn’t mean I am focused and concerned about how fast I will progress, or that I am trying to force progress to come faster. I work hard because I enjoy working hard and there is a deep sense of satisfaction that comes with knowing I have been able to do my best during a practice or lesson or anything I do. I have goals, but I am not in any rush to achieve them. The fun is in getting there. I am hoping we can sort through this and finally clarify the plan without any more major changes. This seems to be an old argument between Boss and I, but I am hopeful that maybe this time it might be the last.